The BIOSTAT® Cplus is a Sterilizable-In-Place (SIP) Fermenter | Bioreactor developed for the cultivation of microorganisms and cell cultures. Culture vessels with operating volumes of 5 l, 10 l, 15 l, 20 l and 30 l are available. 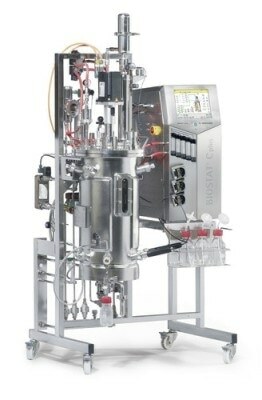 With more than a thousand installations worldwide, the BIOSTAT® Cplus is the most successful stainless steel bioreactor of its class and is now available in the revised 3rd generation with DCU controller.